What if you could have an NFL GM sitting next to you, offering advice while you made decisions about your fantasy team? With the draft preparation software, in-season features, and DFS research tools available from FantasyPros, it can feel like you’ve got Bill Belichick by your side (a friendly version). Whether you’re in a seasonal league, a dynasty league, or play strictly DFS, the FantasyPros tool suite will help boost your fantasy acumen. They're the best fantasy football advice site for owners looking to get help with waivers and line-up management. In this FantasyPros Review, I’ll break down their Draft Wizard and My Playbook seasonal features, daily fantasy tools, and even compare their premium subscription benefits to other paid fantasy services. FanasyPros' pre-draft tools include customizable mock draft utilities and a Draft Assistant that helps you make smart picks during your live draft. The Waiver Assistant, Trade Analyzer, and Lineup Optimization features ensure that you’re playing the best possible players every week. For daily fantasy players, they feature a Lineup Optimizer that you can apply to any of the major DFS sites. The projected ownership rankings, salary tracking, and an ROI Analyzer round-out the DFS tools. For multi-month packages, FantasyPros offers a no-hassle, 30-day refund policy if you're not happy with their services. Multiple pricing levels to accommodate varying budgets and needs, as well as significant discounts for multi-month commitments. One of the broadest collections of tools of any advice site that you’ll find, regardless of your league format. Seamless integration of pre-draft, in-season, and daily fantasy tools across multiple sports. FantasyPros is one of the better-known names in fantasy sports advice. While their early mission was to track and rank the most accurate fantasy experts, they have slowly transformed into a fully-functional tool suite. Their toolset and content offerings rely heavily on the opinions and projections of industry veterans (the fantasy pros). In this way, their algorithms are configured to utilize the best projections available. Another thing that sets the FantasyPros apart is that they are transparent about their methodology. They reveal how they come up with their projections and provide validation for their overall accuracy. A FantasyPros premium membership features tools and research aids for both seasonal and DFS leagues. They segment their tools into three main categories. Please note that DFS tools are only available in their HOF package. Your need for DFS tools (these are only available in HOF plans). For seasonal fantasy players looking for short-term help (for example, maybe you only want to utilize their pre-draft tools to practice mock drafts), a monthly plan would fit the bill. If you're looking to get assistance for an entire fantasy season (but no more), the semi-annual plan will save you 40% off the monthly plan cost. Six month plans would likely be sufficient if you want in-season tools for one fantasy football or baseball season. If you're looking for year-round support, the yearly plans will save you 60% off the monthly prices. So you can get a full year for less than what you'd pay for five months of the monthly-charged packages. A yearly subscription is the perfect option if you play in fantasy leagues for multiple sports, or you like to research players during the offseason. Check out their feature comparison chart for a more detailed comparison. In this reminder of this FantasyPros premium review, I'll assess the tools you'll have access to with a paid subscription. Unfortunately, you won't be able to find a FantasyPros promo code or coupon code on the web because they don't exist. The best way to get a FantasyPros discount is to subscribe their six month or yearly plans which provide 40% and 60% savings, respectively. It's an excellent, low-pressure way to find out if their services are worth your investment. The Draft Wizard is an extensive collection of tools that help you prep for your draft with actionable advice and realistic practice (i.e., mock drafts). You configure your type of league, the number of teams, draft order, and other variables in order to get the most accurate and complete advice possible. If you enjoy utilizing mock drafts to prepare for your own drafts, you'll love the Draft Simulator. This full-featured tool allows you to run tons of mocks in very little time. You can configure almost every aspect of your draft to ensure it's set up just like your own league. You can even import keepers if you're in a dynasty league with keepers so that the simulator will exclude them. FantasyPros lets you try-out their Draft Simulator for free once the season has started (you can't import keepers, though). Give it a try. I personally love a good auction draft, and the FantasyPros have you covered there as well. Their Auction Simulator and Auction Calculator let you practice your auction and then analyze the effectiveness your picks from a value perspective. FantasyPros will help manage your keeper and IDP leagues as well. However, you'll need to opt for the MVP plan to access these features. The Draft Assistant feature runs alongside your draft, offering real-time advice as you evaluate the available player pool. By default, it bases its suggestions off of your individual, pre-draft rankings. The Draft Assistant can’t make the picks for you. However, it helps you select high-value players as you draft. Ok, draft done! Should you collect your championship trophy or give up on this season entirely? The Draft Analyzer gives you an overall score on your draft while offering insight into your strengths and weaknesses. This data can be a springboard for how you evaluate free agents and trades in subsequent weeks. This post-draft analysis tool is particularly useful for mock drafts, as you can analyze your performance the instant your simulation is complete. You can quickly evaluate the draft results, adjust your strategy, and continue to mock and improve. Once the season has officially started, the My Playbook toolset has a variety of functions for helping you improve your team as you make the push toward a championship. They have tools for setting your lineups, picking up players from waivers, making productive trades, and more. So how can FantasyPros access your fantasy team info? They actually do much more than that. You link your entire league to FantasyPros my merely providing your league host credentials. 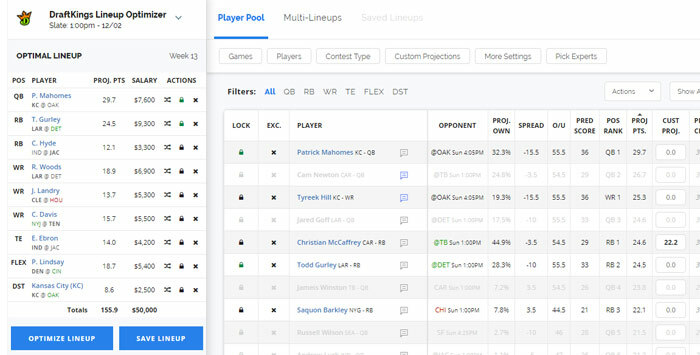 In this way, FantasyPros can act like a complete management hub for all of your leagues. Linking your fantasy league to My Playbook is a cinch. You designate where you host your league, add your login info, then watch as the tool imports your league data. FantasyPros imports data from all of the major seasonal fantasy sports league hosts. The new Dashboard interface of My Playbook concisely displays all in-season tools neatly in the left pane. You can quickly switch through each of your leagues using the drop-down at the top-left. My Playbook lineup tools include a Start/Sit Assistant that offers well-researched, actionable advice on your players. There is even an Auto-Pilot mode that can set your lineup for you. Auto-Pilot is especially helpful for the casual player that sometimes misses weeks, or for serious players that know they’ll be incommunicado for a while. My Playbook features waiver tools that go beyond merely ranking free agents. These tools are designed to help you make quick and effective roster decisions. I particularly like the Top Available interface. It ranks the top players by position and lets you switch between several views: projection, statistics, and schedule. The schedule view is especially useful toward the end of the season when you're evaluating the remaining match-ups for available players. For those of you who prefer to 10,000 ft view of the free agent pool, the waiver Cheat Sheets display positional rankings while highlighting both your team’s players and the available free agents. This layout makes for an easily digestible visual of your team and options for improvement. 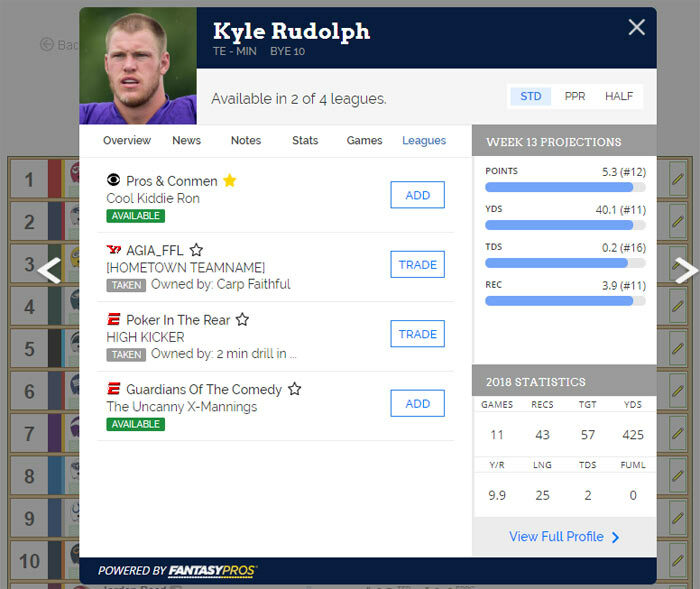 You can quickly access player cards, soundbites about particular free agents, and even tailor the suggested players according to your favorite Fantasy Pros (or those who have been proven to be the most accurate). This week, it looks like there's a free agent tight end who is better than my starter! Based on the Waiver Cheat Sheet indication that David Njoku would be a better play than Austin Hooper, I selected him from the Add pane. From there it suggests I drop Austin Hooper. Finally, I see that with this waiver move my starting lineup will be improved by .8% this week and 6.8% over the remainder of the season. The Research Assistant tool is a browser bookmarklet that overlays player data on any web page, even those not part of FantasyPros.com. Just install the FantasyPros Chrome Extention, navigate to a site that mentions NFL players, then use color-coded icons next to player names to access a full suite of fantasy tools. I use the Research Assistant to populate players in my own customized fantasy football cheat sheet interface. This makes researching players effortless asI don't have to ever leave my tool. 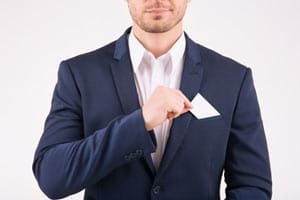 Look for this feature to be standard in 2019! Research Assistant icons enable one-click access to pop-up player cards, player availability for all your leagues, and you can even add players from the waiver wire. Here is what I see if I click on Kyle Rudolph's icon in my cheat sheet. One of the more impressive aspects of the FantasyPros suite of tools is that it offers a fantastic set of daily fantasy sports (DFS) tools. I've reviewed several DFS-centric tools, and I can tell you that they are not cheap! However, if you select the HOF package from FantasyPros, you'll get full access to their DFS interface for a fraction of what you'll pay for other daily fantasy tools. The primary tool on most DFS research sites is the Lineup Optimizer, and FantasyPros has an excellent one. The Optimizer doesn't just generate potential lineups for you, it gives you control over the projections that drive the algorithm. Not only does it allow you to lock or exclude certain players from your lineups, but you can assign your own custom projections to players. If you disagree with the experts, you can increase or decrease any player’s expected scoring, and their optimizer’s algorithm will take this into account. Below, I locked Patrick Mahomes and Sequon Barkley into my starting lineup, then updated the scoring projection for Christian McCaffrey to include my own thoughts about his upcoming production. The Lineup Optimizer then creates the best possible lineup for DraftKings using my criteria. The FantasyPros DFS Lineup Optimizer can generate winning lineups for each of the major DFS sites: DraftKings, FanDuel, Fantasy Draft, and Yahoo DFS. I tend to use projected player ownership as one of my methods for finding and evaluating players during seasonal play. However, ownership numbers have not traditionally been available for fast-moving DFS contests. The Projected Ownership tool allows you to see which players other DFS entrants are utilizing, identify trending players, and evaluate your lineup decisions. Granted, mob mentality is always correct. But at least it helps you understand how sturdy the limb you’re going out on is (and it gives you even more bragging rights when your riskier picks come through). Unlike real player salaries, DFS salaries are always in flux during the season. The Salary Changes Breakdown keeps you abreast of these changes so that you can track former value plays that have become more expensive (or star players that may have become more affordable). It’s hard to argue with either the quantity or the quality of the tools that a FantasyPros subscription provides, especially for their premium members. They have one of the largest tool suites in the industry, featuring adaptations for players of all league types and commitment levels. In addition to the specific tools we’ve already discussed, FantasyPros provides metrics like Snap Counts, Total Targets, and a Methodology section that shows you how they calculate their projections. For audiophiles, FantasyPros offer a near-daily podcast that distills their advice into a listener-friendly format. Although their monthly subscription prices can seem a bit inflated (the monthly plans are quite high), FantasyPros provides good value based on the depth of their toolset. The flexibility of the membership levels, along with discounts for multi-month commitments, make it affordable for any budget. The $2.99 monthly price for a yearly subscription provides the best value and is likely be sufficient for most casual, non-DFS players. If you're a daily fantasy player, the lineup optimizer alone makes the HOF package a no-brainer. The benefit becomes clear when you consider that some DFS tools cost over $99/month for similar functionality. Best of all, you can try any of their plans for a full week at no cost. If you don't like their tools, cancel within seven days and FantasyPros won't charge you. With the magnitude of tools that FantasyPros has to offer, you'd expect that their interface would be cluttered and confusing to navigate. But this is not the case. Their intuitive navigation and well-defined categories make it easy to find the data you're seeking. The only tool that I had trouble getting started with was the Research Assistant. It’s a new feature that requires a little bit of negotiation with the install. But after I started using the extension, I quickly understood how useful it could be for people who browse the best fantasy football sites to perform research. This Fantasy Pros review would not be complete without a look at how customers and authorities in the industry rate them. FantasyPros has won a number of Fantasy Sports Trade Association awards and has also earned favorable reviews across the web for their browser extension, podcast show, and other content. There are a plethora of fantasy sports advice sites and tools on the web. As such, FantasyPros may not be the best choice for every player. Let's compare FantasyPros to some other popular services to see if maybe another service would better suit your goals. The only way that Fantasy Football Nerd compares favorably to FantasyPros is cost. FFN is $14.95 for the entire season or about two months of the HOF-level premium membership to FantasyPros. Beyond the subscription savings, there’s no comparison between the two services. From seasonal leagues to DFS, FantasyPros offers more tools and content for nearly every league type. The one situation where I'd choose the Nerd over FantasyPros is if you're a DFS player on a very tight budget (do these exist?) The Nerd does have a serviceable lineup optimizer, and you could argue that at this price it would be silly not to [at least] try it out. 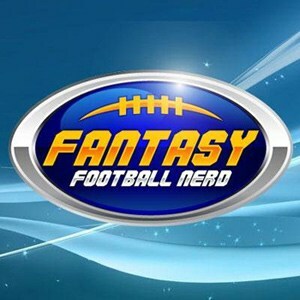 If you want to learn more, I wrote a full fantasy football nerd review that may interest you. RotoWire is another well-known name in fantasy sports, supporting both the NFL and other fantasy sports. Based on my review research, FantasyPros seems to be playing a game of “anything you can do I can do better” with RotoWire. RotoWire puts out about four football podcasts a week, FantasyPros put out five. RotoWire does mock drafts, but they aren’t as customizable as FantasyPros' tool. If you're looking for pre-draft, in-season, and DFS tools, FantasyPros is just better. RotoWire has a few metrics that FantasyPros does not. For instance, Red Zone Targets and Defense vs. Position. But the cheapest RotoWire subscription costs $8.99 per month for a yearly subscription, more than the annual HOF-level membership on FantasyPros that includes everything but the kitchen sink. Do you think RotoWire is better than FantasyPros? Tell me about it in the comments below. When it comes to getting more bang for your buck, there’s no comparison between NumberFire and FantasyPros. The most inexpensive package that NumberFire offers is $19.99 per month. They also do not provide discernibly more than FantasyPros for the inflated price. NumberFire also doesn't advertise discounts for multi-month commitments. Whereas FantasyPros is geared more toward fantasy sports, NumberFire sells services aimed at general sports gamblers. So if you like to gamble more on games than seasonal or DFS fantasy, NumberFire may be worth a try. As to their accuracy, NumberFire claims that they typically beat averages. But FantasyPros tracked their accuracy and determined that NumberFire ranked toward the bottom of the heap. Comparing FantasyPros to Football Guys is like watching the Steelers take on your high school team, except for some reason your high school team is making the same amount of money. Seriously, don’t even bother. Football Guys isn't on the same level as FantasyPros. And for some reason, they think they can charge up to $59.95 per fantasy season. I must admit I have spent time browsing the Shark Pool at Football Guys, and you can most definitely find some actionable tips there. I also subscribe to their free weekly newsletter, which I highly recommend. But from a tools perspective, FantasyPros is the clear winner. FantasyPros provides a broad array of fantasy tools to help you excel in your fantasy leagues or DFS contests. The flexible pricing structure of their premium membership means any player, on any budget, can take advantage of their tools.